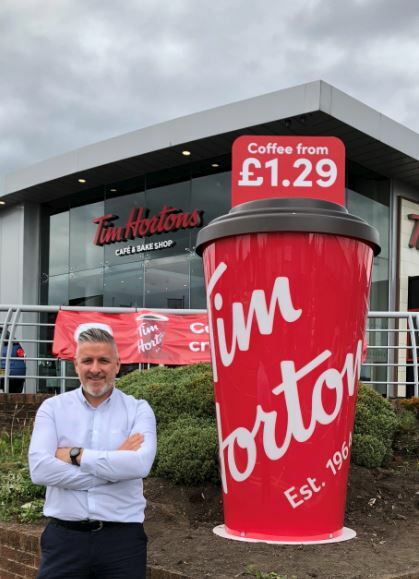 Residents of Salford recently witnessed the installation of the largest cups we have produced, measuring 2.5m high. 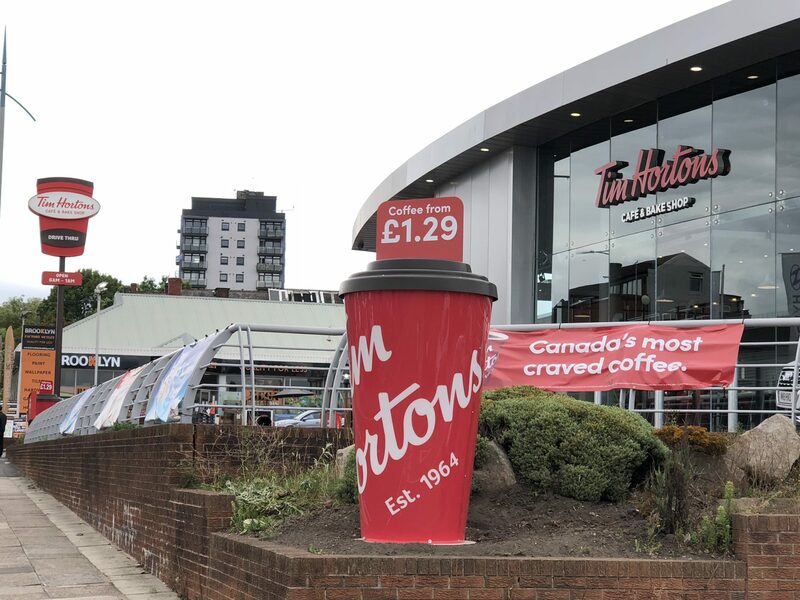 Tim Horton’s Coffee Chain opened its very first UK drive-thru store on Bury New Street, Salford, Greater Manchester in December 2017. 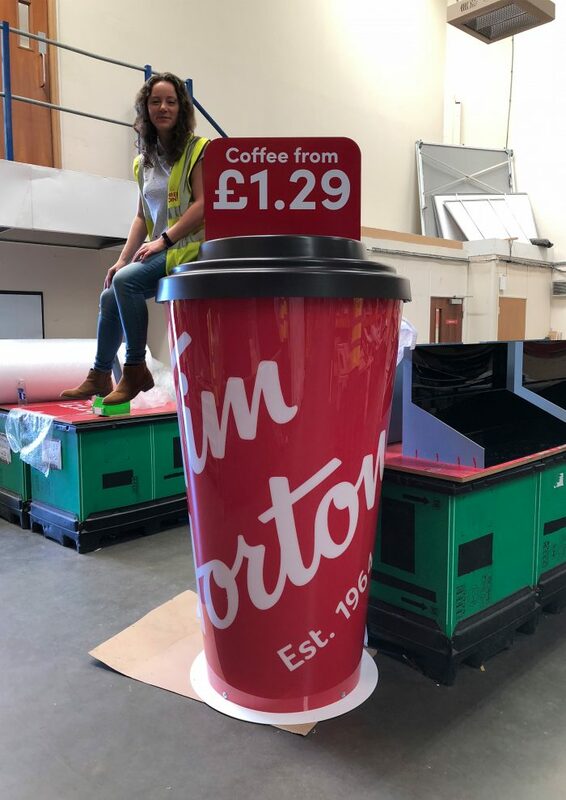 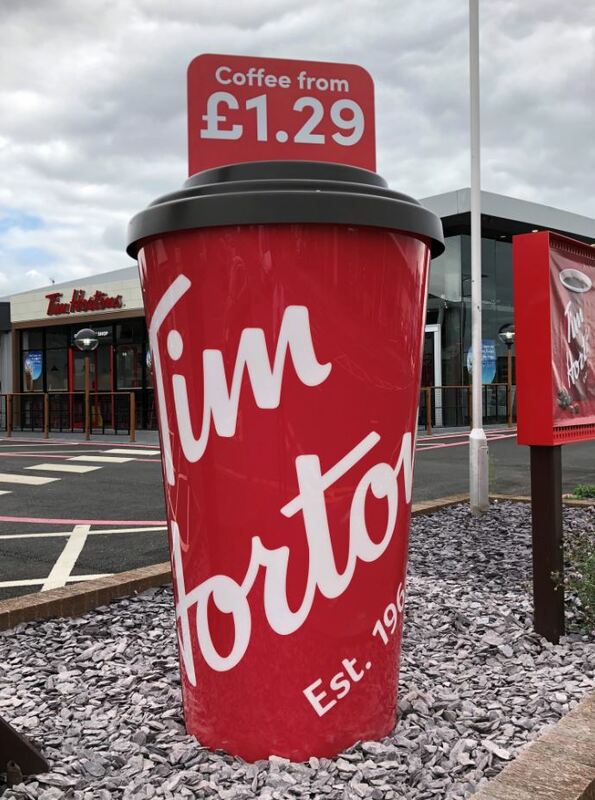 To bring greater visibility of its great value Coffee range, Tim Horton’s UK commissioned Three Point to develop, manufacture and install the Extra Large Giant Coffee cups, which stand an impressive 2.5 meters tall. 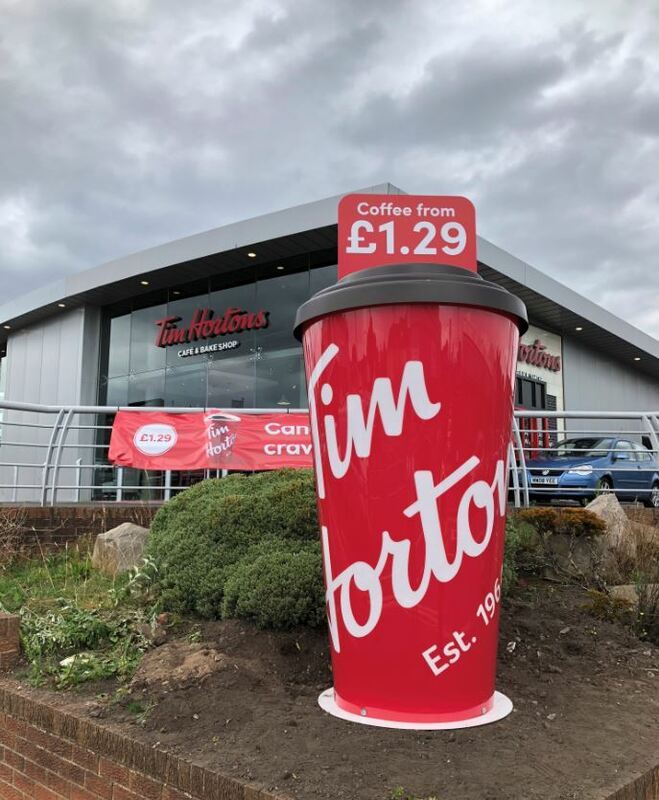 Produced in outdoor grade materials, the 2 Giant Cups were installed at either corner stores plot giving wonderful visibility for cars and pedestrians passing by the site.